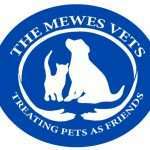 Here at the Mewes we offer Dog first aid for Canine professionals. The course is 3 hours long and is lead by Julia Mewes who has been a vet for over 20 years and she is also a trained human first aider. Each attendee will get a comprehensive handbook to take away, 3 hours of expert tuition where they will learn how to manage an emergency situation whilst keeping themselves and others safe, Canine CPR, situations that require immediate veterinary treatment, plus so much more! You will also get the chance to practice your skills on a real life demonstration model (Julia’s pet labrador). There is a knowledge test and if you score over 90% you will receive a certificate. Our next course is on Monday 25th February 6.30 – 9.30pm at a venue in Haywards Heath. For more information and to book your place either pop in to the clinic or give us a call on 01444 456886. The cost of the course is £66 per person and places must be paid for no later than one week prior to the course.